The sun rises over the Mitchell River valley, flooding the escarpment with rosy pink light. Perched on top, near the old butcher shop and across the road from the long-gone garage, is Lindenow’s old town bakery. This was the heart and soul of this little country town near Bairnsdale, 330km east of Melbourne. 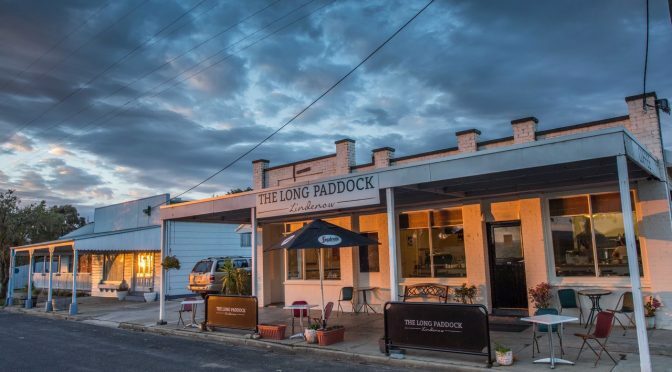 It is now called The Long Paddock, a café/restaurant full of mismatched, mid-20th-century furniture warmed by the old Scotch oven that is now used to roast meats and bake cakes. 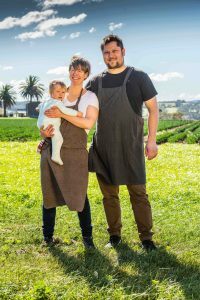 They decided they wanted to cook the food they grew up with and love. Food to nourish the locals. The menu is as simple as it is beautiful. 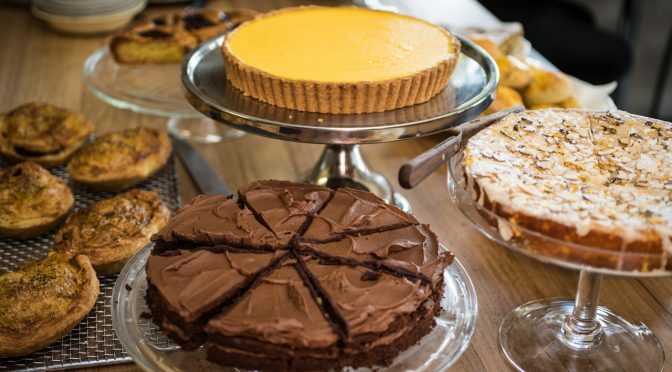 There could be seasonal dishes such as asparagus served on fresh, house-made curd with hardboiled egg and breadcrumbs grated over the top, or beef slow cooked in the wood-fired oven alongside well-executed patisserie such as nut and chocolate cake slathered in ganache, or a perfectly set lemon tart. The shelves are lined with jams and conserves and the benches are groaning with baked goods. Here Anton is happy to make his own corned beef for his excellent corned beef sandwiches.